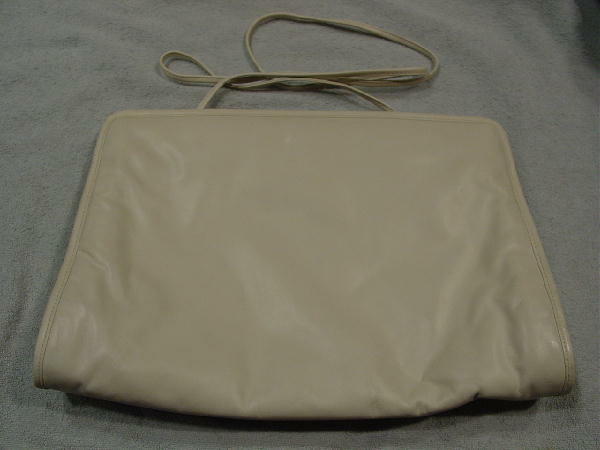 This large bone leather purse has a 45" long strap which can be tucked in so you can carry the purse as a clutch. It has a 1 1/2" wide leather interior rim, and there are two interior side hinges - it snaps shut and you pull it open. 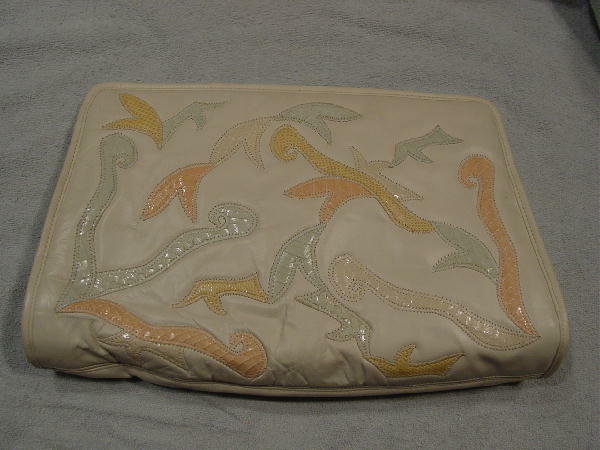 The front has freeform patterns of strips of snakeskin in pale seafoam green, bone, and peach and strips of lizard in a honey-maize. 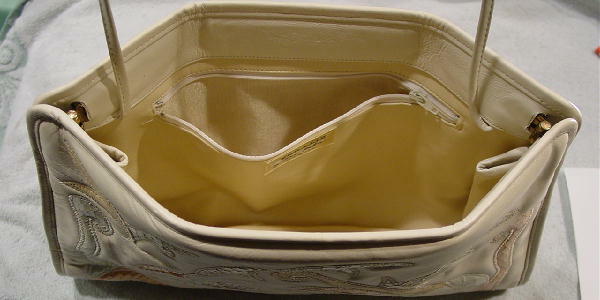 The interior lining is in a buff-cream vinyl. It has a roomy interior zipper compartment with a shiny buff-bone thick fabric lining. They broke up right after he gave it to her.